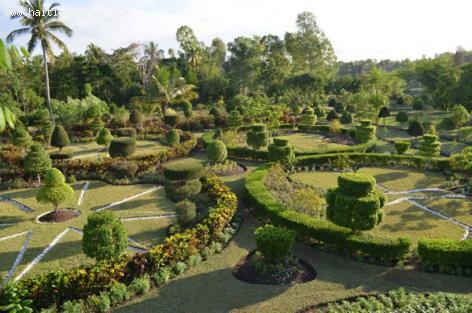 Jardin Botanical Gardens of Les Cayes (JBC) was established in fall 2003. Its goals are replenishing ruined areas of biodiversity throughout Haiti and building infrastructure for maintaining biological legacy of island natural resources. JBC wishes to educate Haitian lawmakers legislating protections for Haiti's plant- and animal-life biodiversity is good for the future of eco-tourism, and for the country's morale. The non-government organization, Botanical Gardens in Conservation (BGCI), works in tandem with JBC to set standards for creating, implementing, and sustaining botanical gardens and arboretums globally. They have defined markers that determine if a green space is a botanical garden, as opposed to civic or decorative parks. The JBC has logged more than 130,000 visitors to its garden from 2008-2010. Over half have been elementary- and high-schoolers, the rest divided between families and biodiversity specialists. One of the end-goals for JBC is to give Haitians a sense of renewal through experiencing the island's botanical reserves. Becoming aware that nature has non-threatening aspects, and is a source of healing will allow Haitians to develop faith in the repair and flourishing of the island's natural resources, a precursor to economic health.